Este artículo está disponible en español aquí Copones is a large Maya Q’eqchi’ territory in Guatemala, in the northern province of Quiché along the Mexican border with Chiapas. 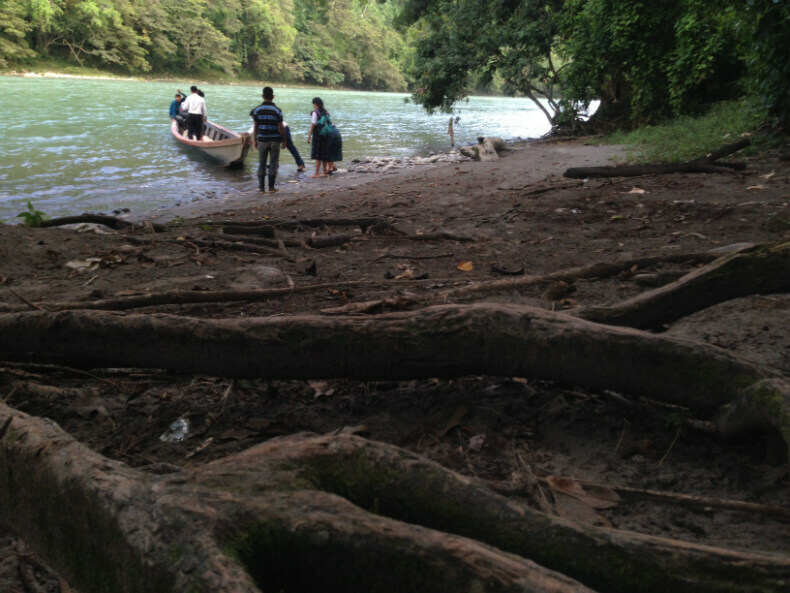 Q’eqchi’ communities have lived in Copones for millennia, caring for rivers and the land generation after generation. 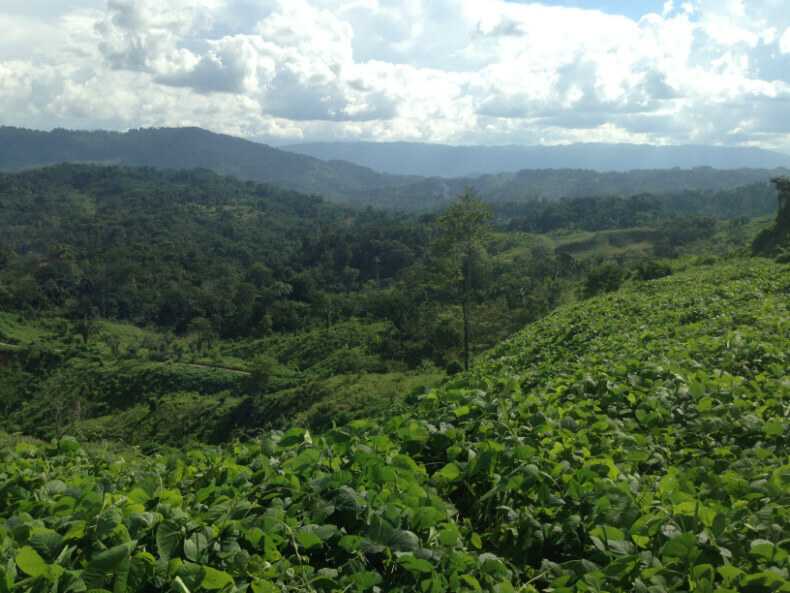 Their territory extends over 20,000 hectares of clean rivers and fertile land. Copones perspires autonomy. The 10,000 inhabitants are organized in 36 communities led by Ancestral Councils. Community life happens in the native Q’eqchi’ language, with only a few young people who practice Spanish when they travel outside the community. Until recently, Copones was accessible only by boat; now a dirt road has made most villages accessible in a couple of hours by truck or motorbike. Yet the Q’eqchi’ of Copones have no legal titles to their land. The titles were issued by the state of Guatemala in 1905 and granted to militias. The Q’eqchi’ of Copones always occupied the land but were not consulted or informed that titles had been created and used as currency to pay off state debts. The story of Copones is one more chapter in the massive grab of Indigenous lands across the New World under the terra nullius doctrine. The state of Guatemala appropriated Q’eqchi’ lands after the Liberal Revolution of the 1870s. It granted land titles as ‘rewards’ to militias demanding their dues. It declared Maya lands ‘unproductive’ and therefore ‘vacant,’ renamed the region ‘Copon de Bolas’ (aka Copones), and invented paper titles to appropriate land. Q’eqchi’ territories were then distributed as booty of war. The Q’eqchi’ of Copones only realized what was happening when militias showed up claiming land. They did not settle, but they used the state-made paper titles to force many Q’eqchi’ into paying ‘rent’ for remaining on their own land in the early twentieth-century. In 2015, the inheritors of the militias showed up again. They did not intend to settle either. They were interested in Copones rivers for hydroprojects. 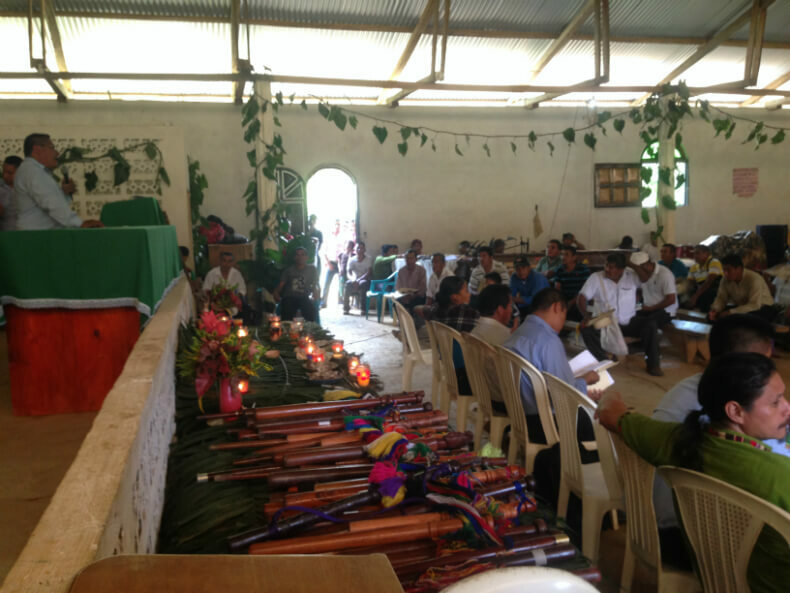 This time, Ixcán communities took the defense of their territories to court. 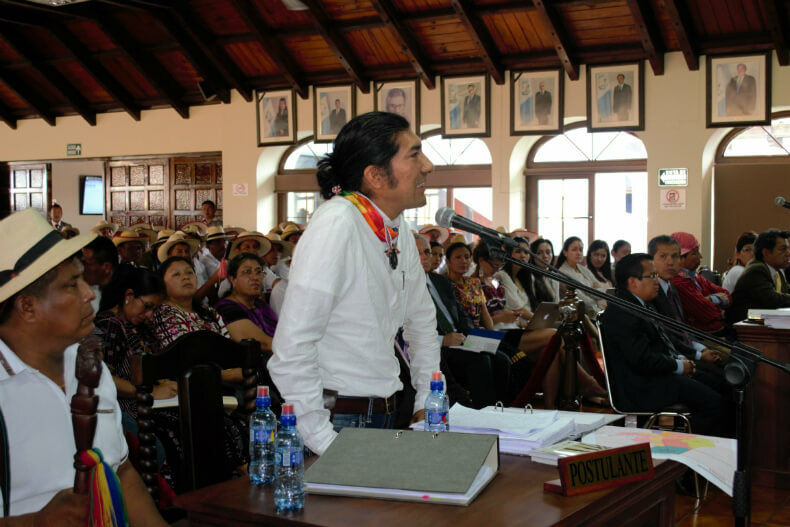 Judges refused to acknowledge Indigenous rights to collective land in the case; and the Q’eqchi’ asked for the support of the Association of Maya Lawyers. 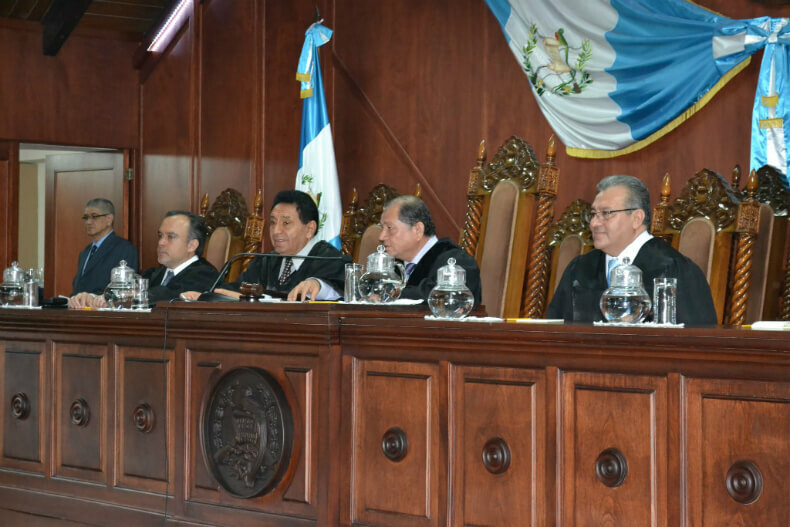 The litigation reached Guatemala’s highest court in May 2016. 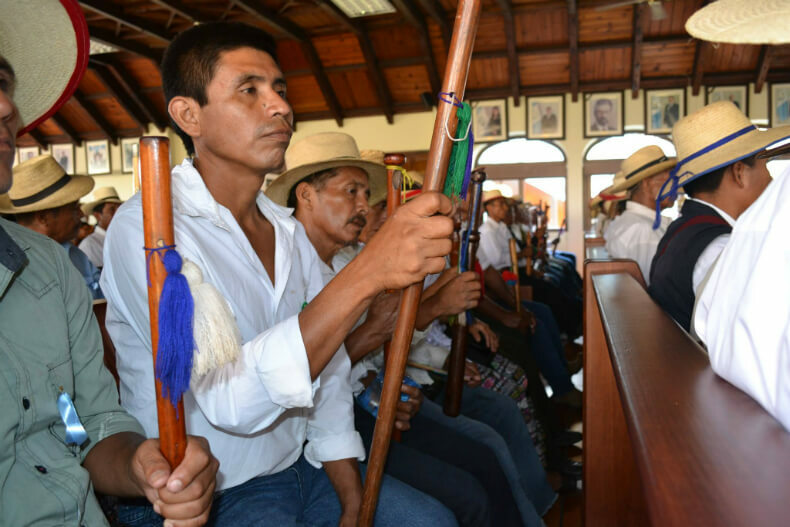 Ixcán’s Great Council of Ancestors are suing the state: They want the paper titles granted to militias canceled and new titles to collective territory issued for Q’eqchi’ communities. The case of Copones is a legal battle between owners in practice and owners on paper. 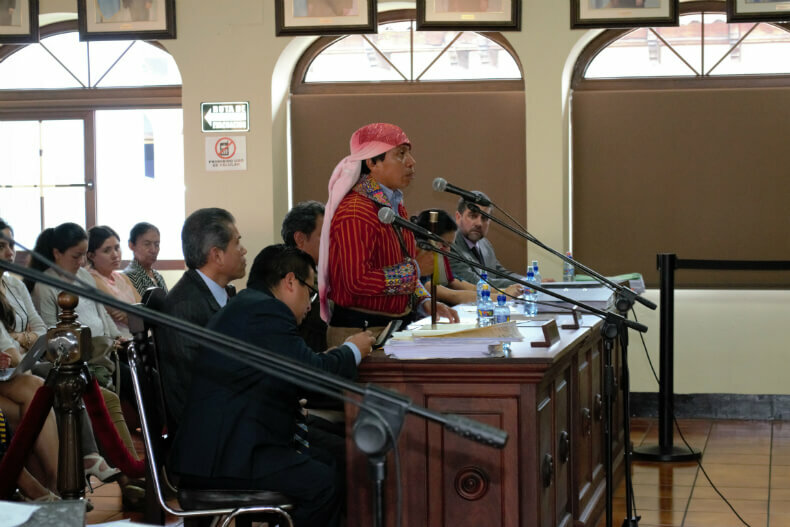 On May 25, 2016, a hearing at the Constitutional Court became emblematic of how Indigenous communities are challenging the terra nullius doctrine in an already legendary tour-de-force of de-colonial litigation. 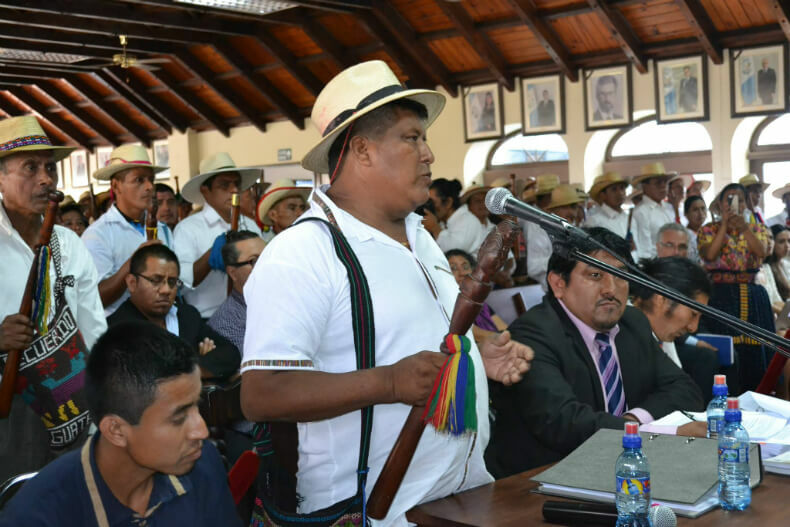 About 220 Q’eqchi’ authorities traveled from Copones to attend the hearing in Guatemala City. 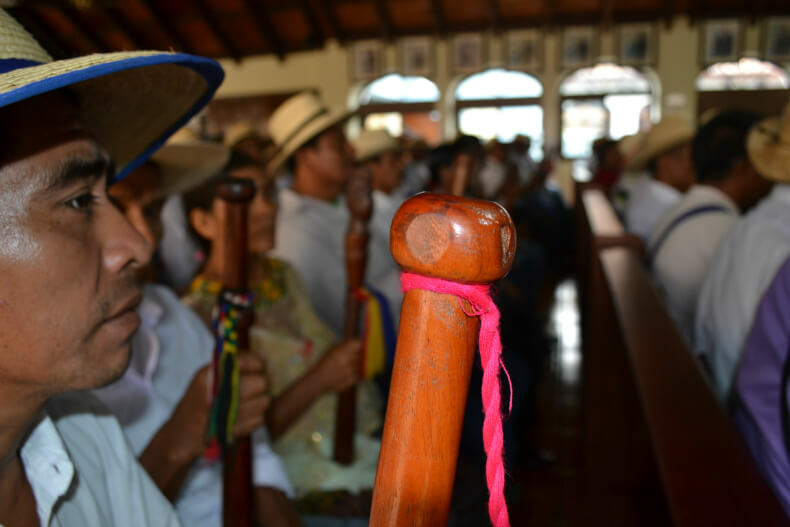 They walked into the courtroom with solemnity, carrying wood staffs (bastón de mando) as symbols of political authority, women colorfully dressed in their typical woven skirts, men wearing white Panama hats. The Q’eqchi’ of Copones had gathered an impressive legal team. Victoriano Chocooj, from the Great Council of Ancestors, represented nearly ten thousand people. Juan Castro, from the Association of Maya Lawyers, litigated with the support of three colleagues: Claudia Chopen, Edgar de Leon, and Ixquil Poz. Carlos Perez Guartambel, Kichwa-Kañari lawyer and serving President of the Confederation of Kichwa Nationalities of Ecuador (ECUARUNARI), served as Amicus Curiae. 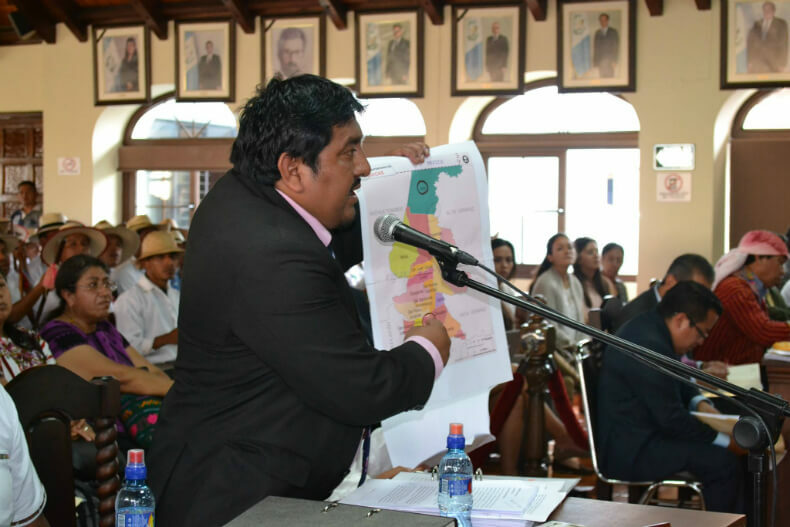 Diego Cotiy Mas testified in the name of the Great National Council of Ancestral Authorities of Mayas, Garifunas, and Xincas de Ixim Ulew Nations, created in 2009. Juan Castro followed, framing the 1870 land titles as an illegitimate act of state violence. He presented research showing that these lands have long been inhabited: Dominican priests in the 1600s were already reporting communities occupying and farming the area. There is legal evidence that Copones was never “vacant” as the government claims and that communities have been farming the land for over 250 years. Castro retold history to explain the Liberal Reform as a vast land-grab orchestrated by the state. First, the colonial government authorized the appropriation of lands deemed empty or useless. After independence in 1847, the state of Guatemala declared vast Indigenous territories as empty/useless/unproductive lands and seized them. These were no small lands — about 20,000 hectares in the case of Copones – and they were distant enough so that land deals were negotiated on a map in some office in the capital without ever seeing its rivers. 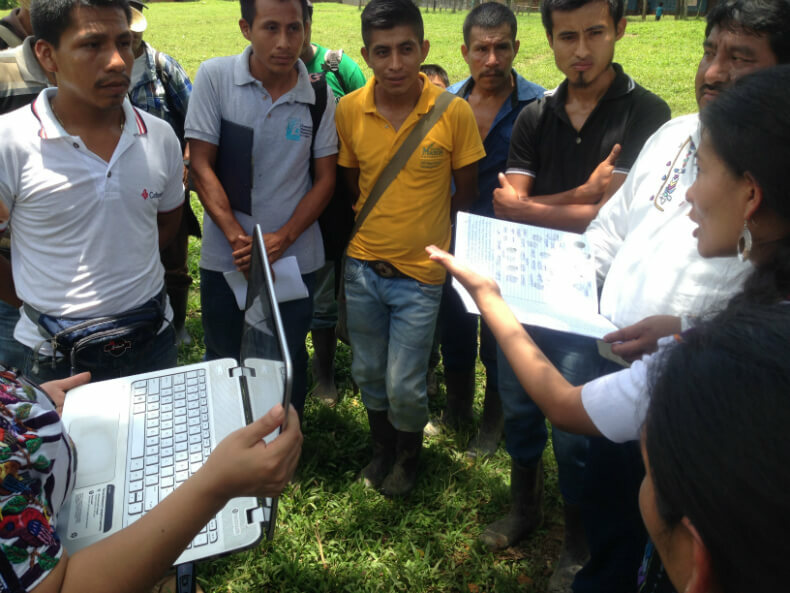 They used the municipality of Chinique to register the Copones land titles: They appropriated Indigenous lands, forging titles to pay off ex-militias asking for compensation. Castro shot four key arguments sharper then arrows to push the judges to return the titles to their real owners. First, he said, it is absurd to think that Guatemala’s courts are not obliged to judge this case. 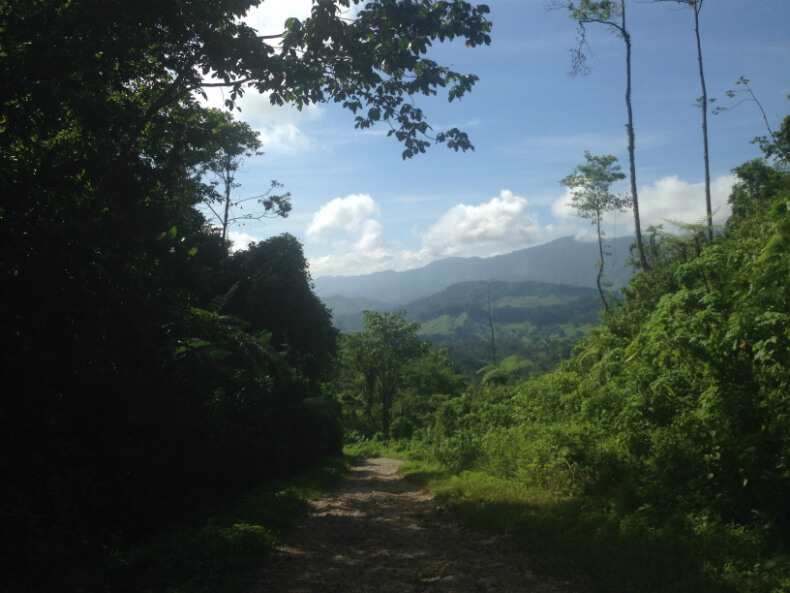 As a reminder, the ILO Convention 169 and the Inter-American Court of Human Rights are two legal mechanisms that explicitly guarantee collective rights to land. 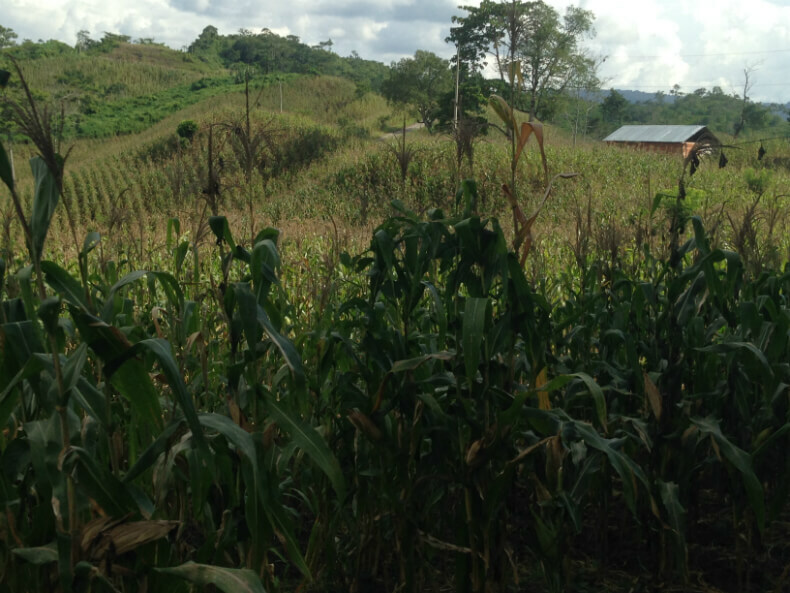 Second, the 36 communities of Copones have never lost the possession and use of their land; they have always been there, continuously farming it. Chinique’s municipality cannot invoke the militias as a third party of “good faith” because lands were stolen, not bought, then given away in a violent, illegitimate land-grab. Third, it is also absurd to argue that the case cannot be judged under current laws. Castro reminded judges of the principle of the unity of the state. All laws are inter-related. Indigenous collective land rights are inalienable, indivisible and imprescriptible. Indigenous nations have been defending their territories for over a century and courts cannot simply say they don’t have the authority to address their claims. Last, when a court suggests that Indigenous communities buy the lands that were given to mercenaries, the court is telling them to buy what is theirs. This not only reproduces colonial laws, it tells millennial societies to renounce their territories, nationhood, and self-government – rights that are now guaranteed in the UN Declaration on the Rights of Indigenous Peoples. “How dare a court tell people to buy what belongs to them?” demanded Castro. He focused on Indigenous notions of territoriality, which go against that of terra nullius. Indigenous rights to territory are imprescriptible and inalienable. Their lands are inalienable, not resources for sale. “There is transmission, but no selling.” He cited Article 28 of UNDRIP guaranteeing Indigenous rights to reparation. Perez posited notions of terra nullius as scientifically unsubstantiated and judicially illegitimate. Edgar de Léon analyzed how the terra nullius doctrine was designed to erase Maya sovereignty from the political map. Indigenous peoples were made invisible and historically excluded from state and constitutional treaties – notably the governmental agreements that resulted in land titles granted to militiamen. Today’s democratic government still carries a legal debt with Indigenous peoples who appear in only five constitutional articles. When the turn came of defense lawyers to intervene on behalf of Chinique’s land registry the arguments were exposed within a few minutes. They claimed that the land titles were a “technical decision” to “obey a presidential decree.” They said they understood Maya concerns but that there were no constitutional rights regulating rights to ancestral lands, and that as a result the claim should be addressed to legislators and not to the Constitutional Court. The litigation was a tour de force. The room exulted excitement by the time the five judges closed the hearing. There will be no immediate resolution. In fact, it may take years to resolve the Copones titles. But it was a historic display of Indigenous litigation. Months later, when Maya Lawyers attended a general assembly in Copones, there were pictures of that day hanging on the walls. People remembered the hearing with pride and excitement. This litigation matters beyond Copones. It is about ownership in practice versus ownership in paper. It confronts the legal notion of terra nullius with de facto Indigenous occupancy and emerging international rights to territory. It is a case that brings the terra nullius doctrine back to the forefront and forces state courts to take a stand on their own colonial practices.